this outfit was thrown on as, naturally, i was running a bit late to go to the boys house. we ordered pizza (with me doing 90% of the eating as usual, i truly do love food) which was pretty tasty and watched 24, as we’re going through them from the beginning. the next day, we went into town to go to a noodle bar and the restaurant totally forgot we had ordered a main course. we were just sat there for ages with no staff coming in our direction that we could stop. in the end we went up to the bar and paid for our starter because we had waited so long we just didn’t want food anymore! i was so looking forward to my meal too, such a shame. 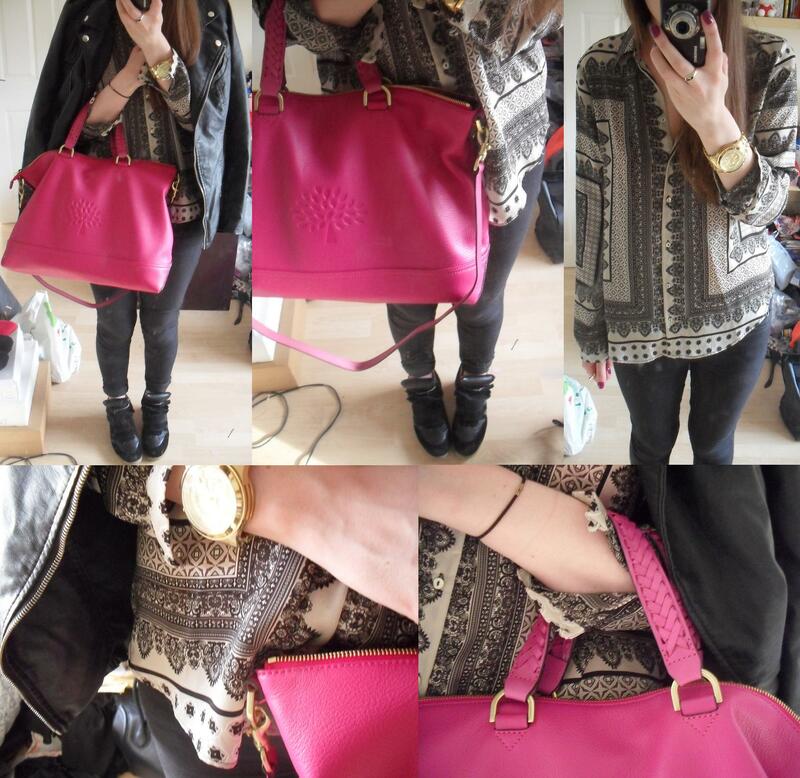 anyways, the mulberry went on its first trip into town today, it really is such a great size to fit everything in. the photos make it look like it’s a bit washed out but trust me when i say it’s a true fuchsia pink, like their stock photo. today’s messy nails are barry m’s bright purple which i recently discovered at the back of my nail polish stash, it’s a beautiful shade. the glitter is models own disco mix which i am a little unsure about as i can’t decide if it’s tacky or not (see better pictures here).